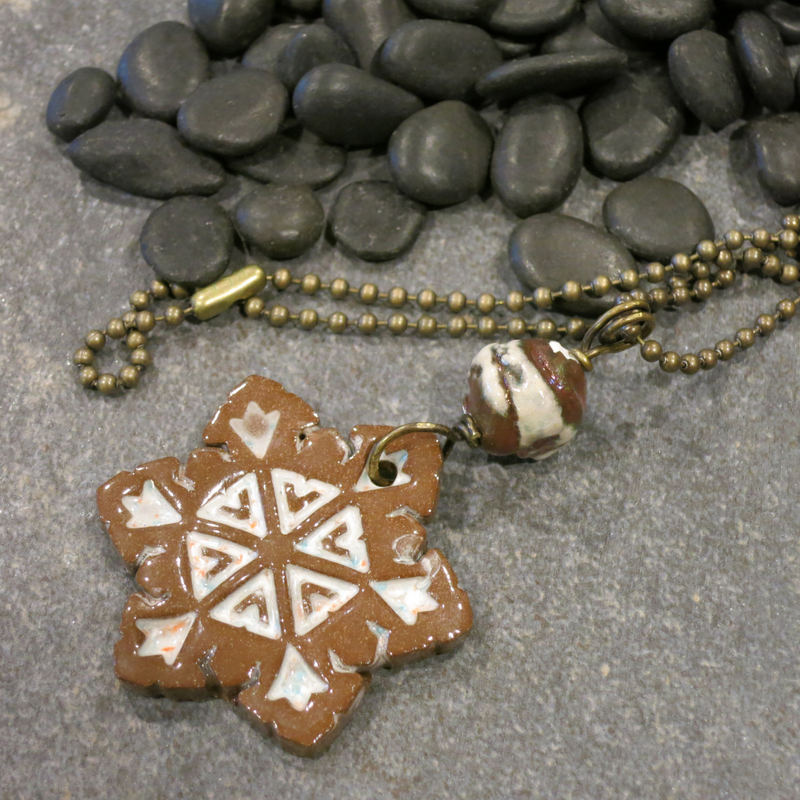 Add a little fun to your casual winter outfits with this boho style snowflake necklace. Easy to slip over your head and perfect with a tee shirt and a variety of color palettes. This will be your go-to winter necklace. 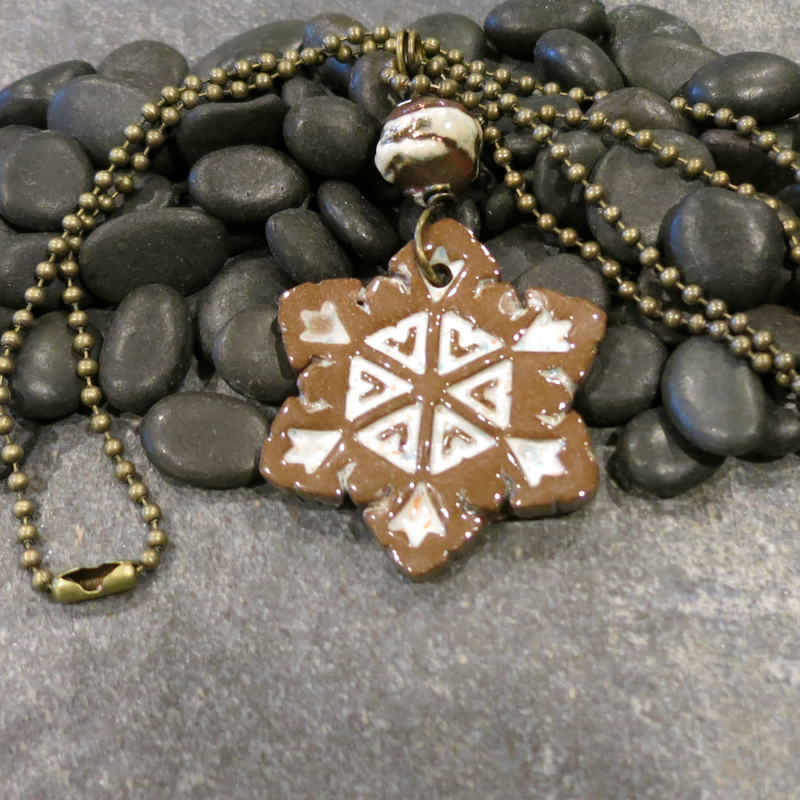 My handmade ceramic snowflake has white glaze in the recess areas of the design, contrasting with the brown stoneware. I put a clear glaze over the front and back for a nice, smooth feel and a lovely finish. 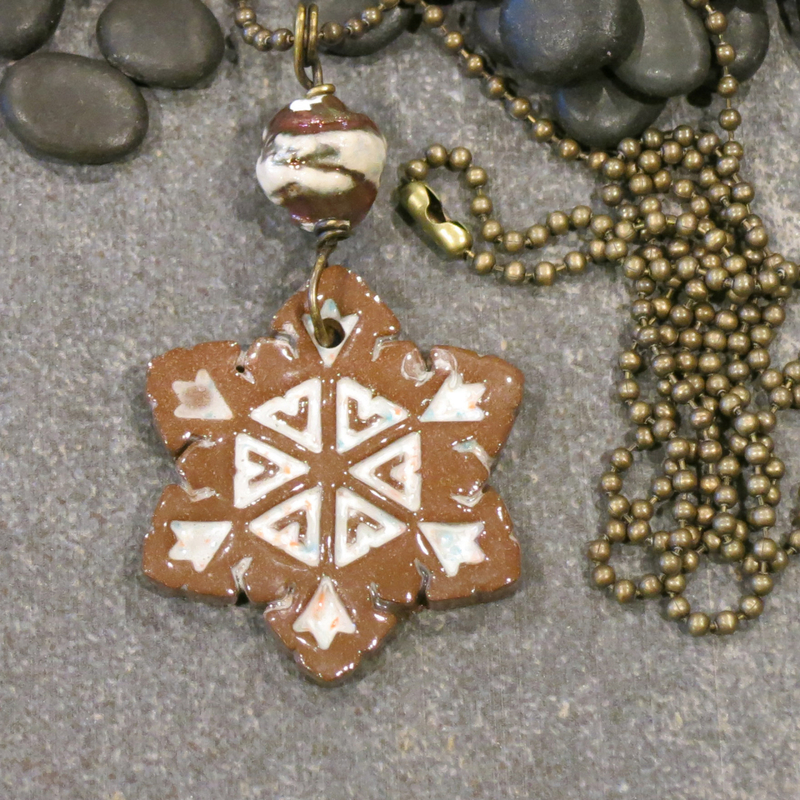 I topped the snowflake with a raku bead that accents the brown and white of the pendant. 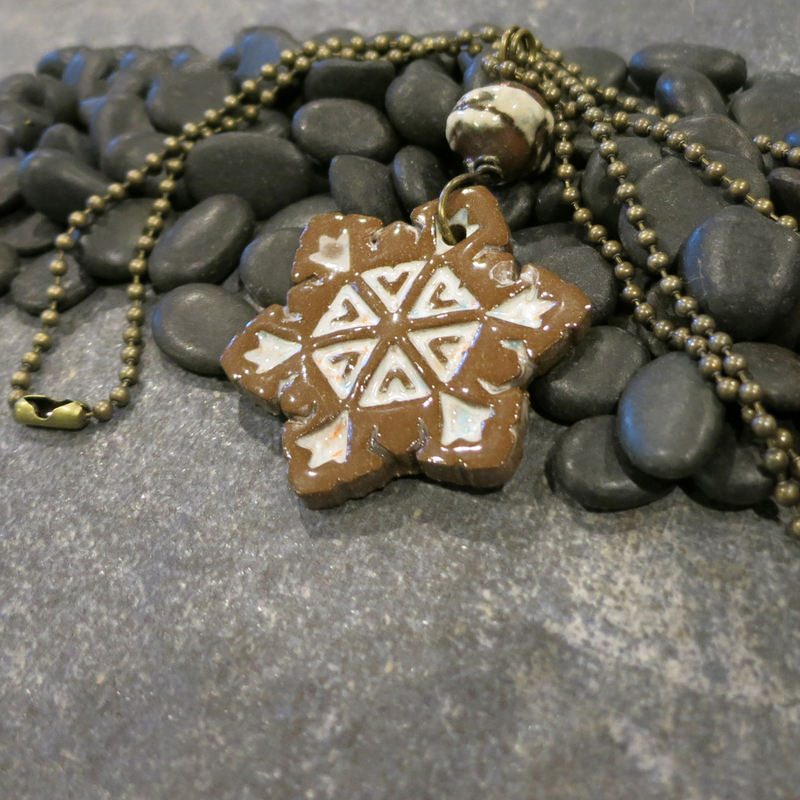 The bead and snowflake pendant are wired together and hang from an antiqued brass tone ball chain. About 26.5 inches (67 cm) long.